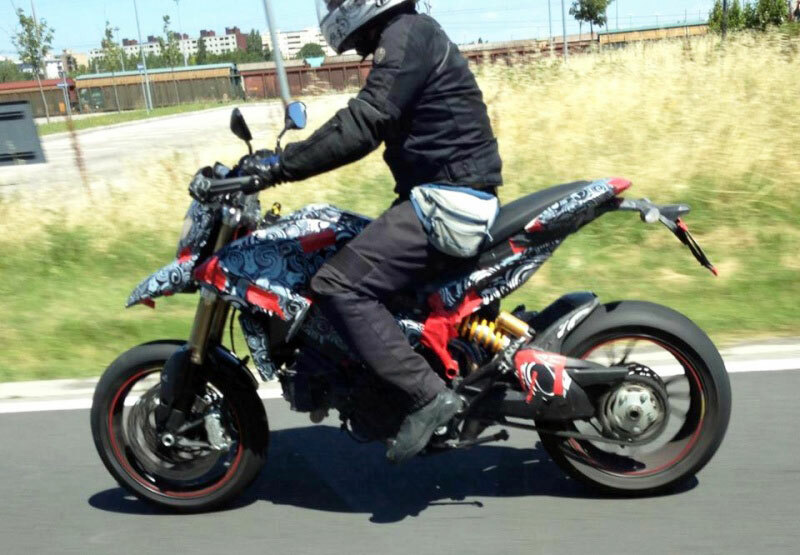 New spy photos have emerged of what appears to be either a Ducati Hypermotard 848 or perhaps an 848 version of the Multistrada. 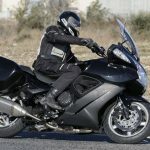 Photos of the new liquid-cooled Ducati emerged last month but these new images show the motorcycle in motion and from the left side. 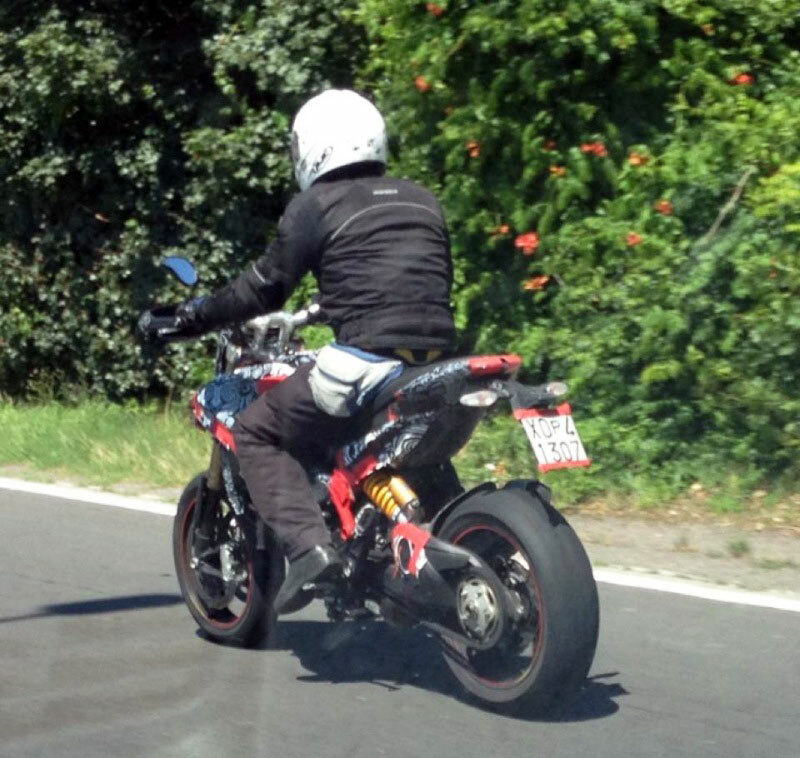 At this point, we’re still not sure if this is Ducati‘s new Hypermotard or Multistrada. 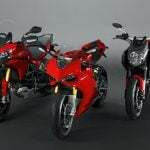 The beak front fender resembles that of the Hypermotard family but the rear more resembles the Multistrada. The new model is also liquid-cooled while the Hypermotard line is air-cooled, and we’re not convinced Ducati would introduce a single liquid-cooled model to that family. 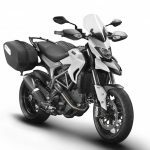 The new photos also reveal the rear suspension with a piggy-back external reservoir, angled like the Multistrada 1200 and not the Hypermotard family’s vertically-aligned progressive linkage suspension. If you look closely at the top of the rear tire you can see this test mule has a much cleaner-looking exhaust unlike the ugly can shown in the previous spy photographs. 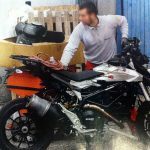 Expect to hear more about this new Ducati in the months to come leading up to its likely unveiling at the 2012 EICMA show in Milan this November. 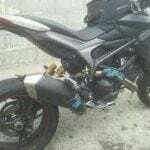 Is This a Ducati Multistrada 848 or a Hypermotard 848?